With original fireplaces and good entertaining areas, a large studio annexe and sunny rear garden Curlew Cottage in Cawsand makes the ideal Cornish getaway property. The reception rooms are characterful and the kitchen is an excellent size. Accommodation in total comprises an open plan living area on the ground floor including the dining room/sitting room and the kitchen, and upstairs are a further sitting room, four bedrooms and a further sitting room. A doubled-glazed door opens onto the studio, which has skylights letting in lots of natural light. 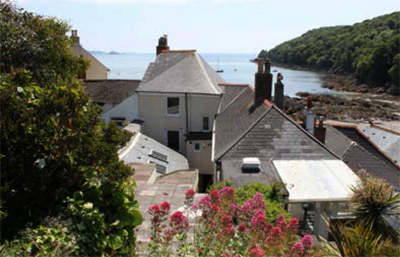 Curlew Cottage is located in the extremely pretty, unspoiled village of Cawsand which has a thriving local community and is known for the high quality and cleanliness of its local beaches. The magnificent Rame peninsula is within easy walking distance, and Plymouth is reached by either the Torpoint Ferry or the Tamar Bridge. The guide price is £450,000. For further information please contact Marchand Petit on 01752 829 000 or visit www.marchandpetit.co.uk.